Please read Senate Bill (SB) 279 to create an Independent Ombudsman in the State of Nevada to investigate prisoner complaints. This is a fantastic bill that will finally bring justice and fairness to resolution of prisoner complaints and grievances. Your support for SB 279 is sincerely appreciated. Please write, call, or e-mail the Legislature, if you have not already done so, and express your strong support for passage of SB 279. We commend our Legislators for sponsoring, drafting and passing and passing SB 279. Fine job and our most sincere appreciation. SB 279 is a fine example of the action that needs to be taken in every state to address the problems with our prison systems. 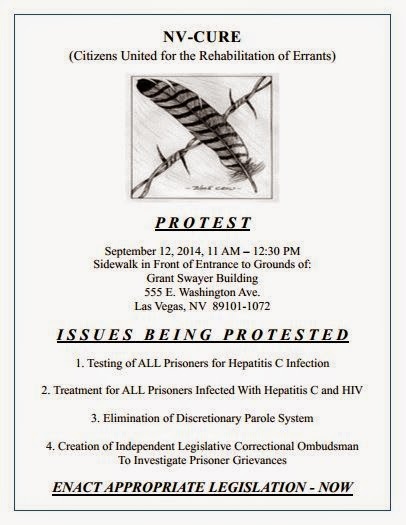 All prisoner organizations should bring this bill to the attention of their state and federal Legislators. Bring justice and fairness to ALL of our citizens. You can share your opinion for SB 279 here (just search SB 279).